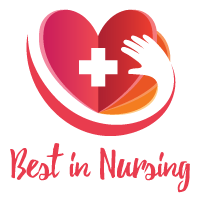 The American Health Council honors William Barber, BSN, RN as one of America’s “Best in Nursing.” With total thirty-seven honorable years in the healthcare industry, including 15 years at the United States Department of Veteran Affairs in Pensacola, Florida. Recently retired, Mr. Barber will be sharing his knowledge and proficiency in Home Health, Clinical Coordination, and General Nursing. Extensive 37 years in the healthcare industry. Provided Leadership and Direction in promoting quality care for patients.